Arnulfo Butac, 67, of Barangay Nemmatan in San Agustin Isabela, has been into crossbred buffalo production for 10 years now and considers his animals as his family’s only means of livelihood. Butac currently has six crossbreds. He harnesses these animals either for milk production or draft animal power during the harvesting of corn in the town. He earns an average income of about P150,000 annually. He is one of the hundreds of dairy buffalo farmers who paraded in the streets of San Agustin with their crossbred carabaos during the town’s celebration of the 8th Nuang Festival and in commemoration of its 63rd year of township last September 28. Butac’s crossbred buffalo was also one of the animals that were used as canvas for the festival’s newest come-on for tourists—the carabao painting contest. The festival also highlighted various contests for the selection of the “Best Buffalo in Milk Production”, “Best Dairy Buffalo”, “Best Draft”, and “Best Dressed Buffalo”. A buffalo race was also staged to the delight of the spectators. Municipal agriculturist Julio Lamug said about 300 crossbreds were paraded this year which were fewer than in previous years. The fewer number was due to the ongoing harvesting in the corn fields since most corn farmers in this region still chooses to use the carabao for hauling to save from high fuel cost, he said. Each paraded crossbred was rewarded a cash incentive of P200 from the LGU. Some of the town’s barangays also gave a counterpart incentive of another P100 for each animal. Mayor Virgilio Padilla was proud of what his town had so far achieved in terms of its contribution in the carabao upgrading program which is implemented by the PCC. “Through the concerted efforts of the PCC and our local government unit, San Agustin is now hailed as the ‘Crossbred Capital of Isabela’. We have substantially placed all our efforts toward establishing a hefty base of dairy buffalos on the ground and now we are into ensuring that the enterprise development aspect of the program will also be embraced by our farmers,” Mayor Padilla said. He added that San Agustin is girding to be a model town for dairy enterprise development and this lofty goal is not a far-fetched prospect because of the staunch support of the town’s farmers to the program. Governor Faustino Dy III and vice governor Rodolfo Albano III also graced the event with their presence. In an exclusive interview with the PCC team, Gov. Dy III said the provincial government of Isabela, thru his stewardship, will not cease in pouring in investments in San Agustin for as long as its vision to becoming a full-pledged hub for carabao’s milk production in the province is realized. “We have witnessed the importance of the carabao to our farmers and in poverty alleviation in general. Our leadership is focused on maximizing the potential of our carabao resource in the province to benefit our farmers,” Gov. Dy III said. 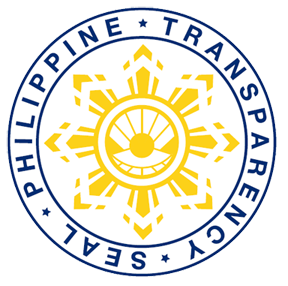 It can be recalled that the governor contributed Php 5 million last year for the strengthening of the carabao development program in San Agustin. The amount was used for the construction of four milk barns in the town. Dy said, he has committed to Mayor Padilla the establishment of more barns as more farmers showed great interest in the dairying business of San Agustin. The provincial government also allocated some Php 2 million to support the expanded artificial insemination program and animal health services not only in San Agustin but in other towns and cities in Isabela. San Agustin currently has some 2,000 crossbreds in the hands of smallholder farmers. This big number is the tangible output of nearly three decades of carabao upgrading program in this part of Cagayan Valley region.